India is home to many different religions, faiths and beliefs. The country is woven with diverse and ancient spiritual ethos. Probe deeper into India and you will get access to God, to the purest spiritual connection to the divine. India pilgrimage tours is the easiest way to spiritual bliss. One would find everything from sacred Hindu temple cities to ancient Buddhist monasteries, Sikh pilgrimage sites to revered Dargah of Muslims. To answer your question on where to go for spiritual tour in India, we have a list. 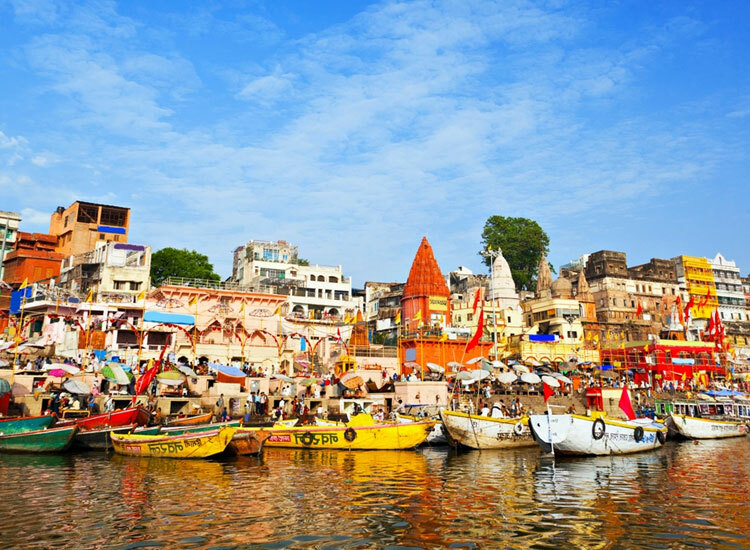 If you have experienced heavenly bliss by the River Ganga, then you must be in Varanasi. As old as civilization where life completes a full circle, the holy town is a center of divine faith. This town in Uttar Pradesh is famous for it’s cultural and spiritual importance. Sacred and colorful, the beauty of Varanasi is beyond the capacity of world. The holy Ganga flowing through the city amplifies the sanctity. Being a destination of spiritual bliss, Varanasi lure tourists from all over the world. The main charm of the Varanasi city includes Ganga Arti. Performed ritualistically every morning and every evening, it enhances its divine charm. It is said that the holy town paves the path to Moksha and cleanses sins of a lifetime. 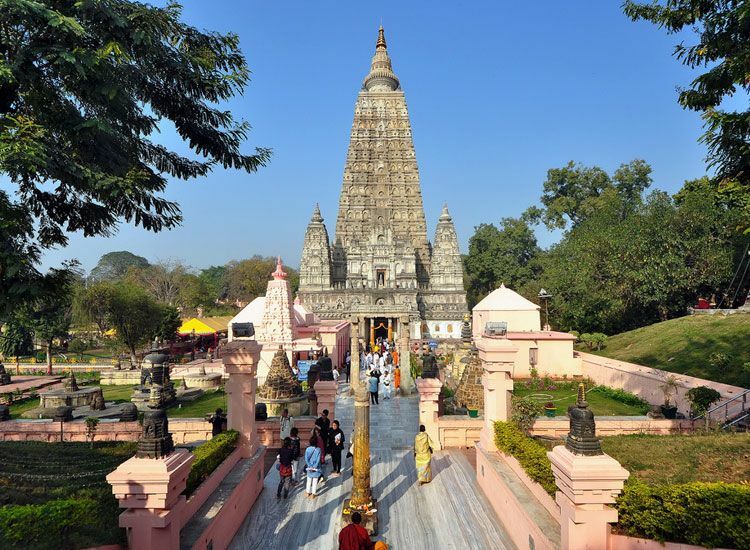 Famous for spiritual and Buddhist tours in India, Bodh Gaya. The ancient city in Bihar is the holy place where Siddhartha Gautama attained enlightenment and became Lord Buddha. Here in the town, Buddha sat under a Banyan tree and upon meditation, achieved enlightenment. This is where he founded Buddhisms’ base, the Noble eight-fold path. Also known as the Middle Path or Middle Way, this demonstrates a balanced life, the ultimate of Buddha believers. The tree which shaded the Lord during penance became known as the Bodhi Tree. The Mahabodhi Temple in Bodh Gaya is also a UNESCO World Heritage Site. It is visited by thousands of people every year and especially on Buddha Purnima, the birth day of the Lord. 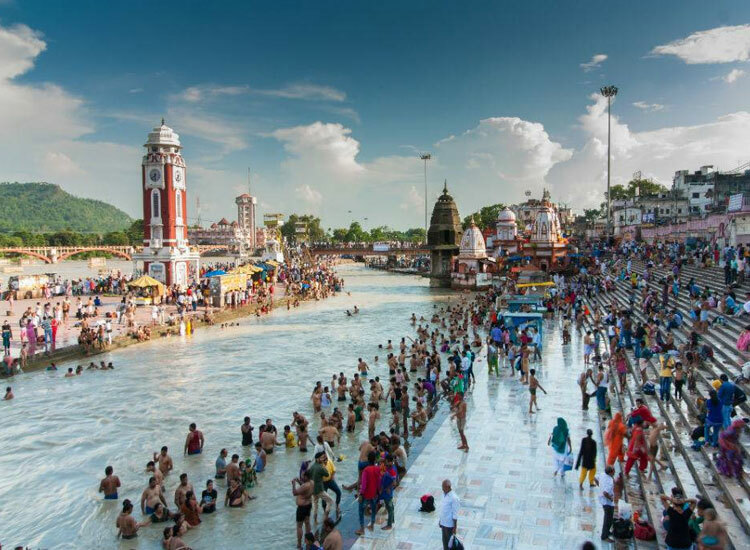 One among the seven holiest cities for Hindus, Haridwar is one of best city for spiritual tour in Uttarakhand. The town is settled on the banks of River Ganges with Himalayas in the backdrop. The Har-ki-Pauri is the most pious site in the town which has footprints that are believed to be of the Hindu God Vishnu. Haridwar is said to purify the sins of a lifetime. Devotees visit the town to perform different rituals. Ancient temples like Mansa Devi Temple, Bharat Mata Mandir, Chandi Devi Temple, Daksheswara Mahadev Temple, Maya Dev Temple, etc. mark the place. The Ganga aarti held every evening is a spiritual experience. Also, Haridwar is host to the largest holy gathering on Earth, the Kumbh Mela held in 12 years. Looking for famous Indian destinations for spiritual tour? Head to Rishikesh. Located on the Himalayan foothills along the banks of River Ganga in Uttarakhand, the city of Rishikesh is located on the Himalayan foothills in Uttarakhand. Rishikesh is a name of Lord Vishnu meaning ‘Lord of Senses’, and is a famous spiritual center of India. It is also known as the ‘Yoga Capital of the World’. 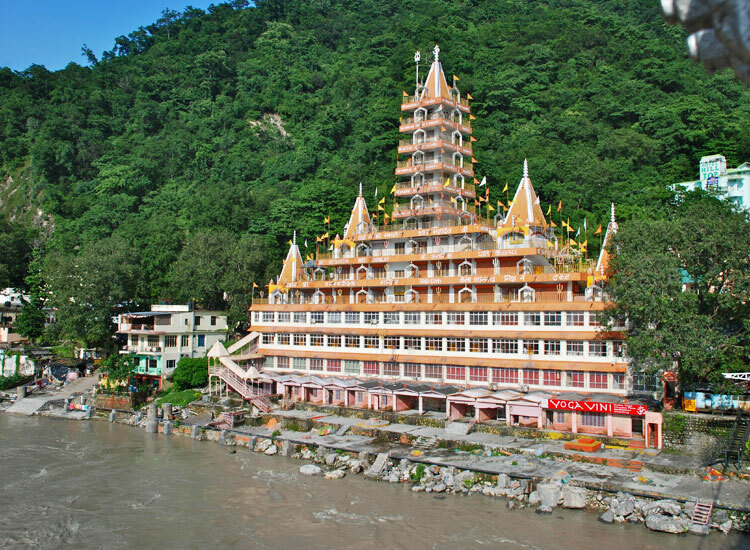 Since antiquity, Hindu saints and sages have been visiting and settling in Rishikesh. Another famous spot in this place is the Triveni Ghat, especially in the evenings during the aarti. Swarg Ashram is another place worth visiting. Situated on the north banks of the Ganga, it’s popular for its lovely orchard gardens, shops and events including lectures and musical recitals. Mathura and Vrindavan are the revered pilgrimage sites of Lord Krishna and is rightly regarded as one of the best cities in India for spiritual tour. The birthplace of the Lord, and the city where he grew up and performed miracles are two holy places in Uttar Pradesh. Pilgrims have a large number of temples to get blessings at. Mathura has Dwarkadheesh Temple, Sri Krishna Janam Bhumi, Vishram Ghat, Radha Kund, Gita Mandir and many more places. 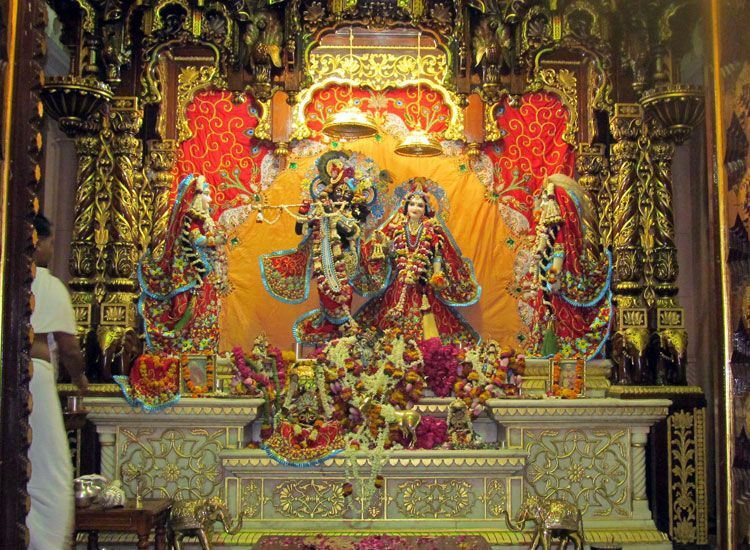 In Vrindavan the holy temples you must visit include, the famous Banke Bihari Temple, Madan Mohan Temple, Sri Radha Raman Mandir temple Prem Mandir, ISKCON temple and Vrindavan Chandrodaya Mandir. The town is drenched in the love of Lord Krishna and his beloved Radha. Devotees feel the blessing in the air, in the sweetness of Peda of Mathura in the greetings of ‘Radhe Radhe’. Inarguably one of the popular pilgrimage destinations, both these towns are famous Indian Cities for spiritual tours. Plan a tour during Holi and you will love the towns. The love for the revered Lord is displayed in the emotions and actions of the people. Are you often confounded with the question, where should I visit in India for spiritual tour? To answer this we will tell you about the Chardham Yatra. It is one of the holiest pilgrimages in north India. 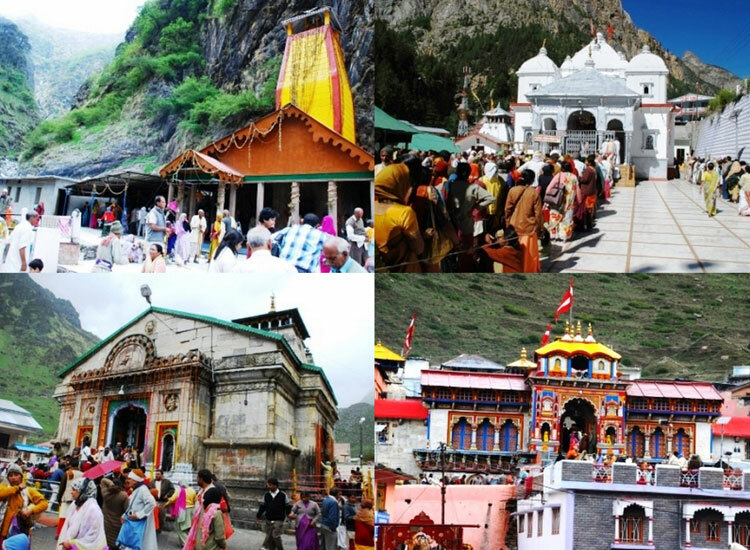 These char dhams destinations in Uttarakhand are, Yamunotri, Gangotri, Kedarnath and Badrinath. Every year thousands of pilgrims take this holy journey starting from April and lasting till October. The journey and visit to these sites is said to wash away sins of a lifetime and grant salvation. The holy journey starts from Yamunotri, the origin of River Yamuna where one gets the blessings of the river Goddess, the sister of Yama, Lord of Death. Next, stop at Gangotri, the glacial origin of the river Ganga were one is blessed by the divine Goddess. Kedarnath is an ancient shrine of Lord Shiva. It is one of the 12 Jyotirlingas of Lord Shiva in India. Last stop of the yatra is Badrinath, the revered shrine of Lord Vishnu in the form of Badri. The spiritual journey takes pilgrims through some of the most picturesque regions of Uttarakhand in addition to the blessings of the divine. The yatra can be complete by road, treks, palki and also helicopter. Chardham yatra by Helicopter help devotes complete this spiritual journey with ease saving a lot of time. 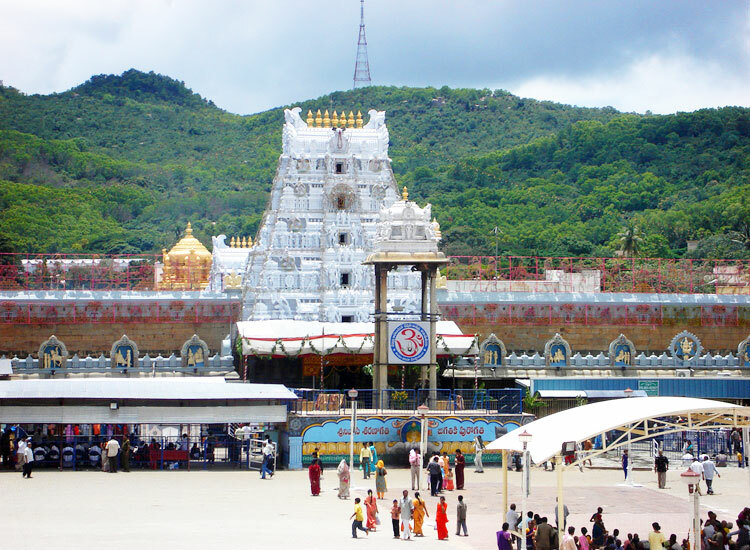 Tirupati city is one of the best Indian city for spiritual tour in south India. There is a Tirupati Balaji temple devoted to Lord Venkateshwara, it is the also one of the most visited temple of south India. The deity is ornamented tip to toe and people often wait in long queues to get an entry to the temple. 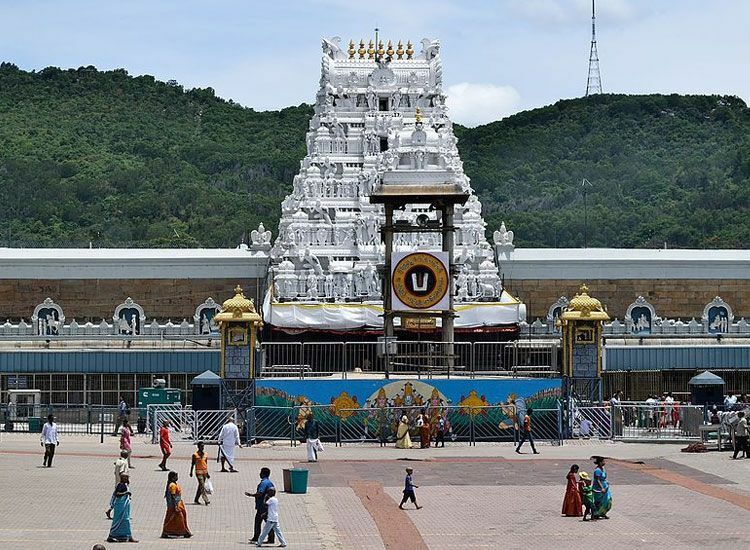 Situated on hill of the Seshachalam range in Tirupati, Andhra Pradesh, the temple is said to be the earthly abode of Lord Venkateswara. Similar to the temples in South India, Tirupati Balaji is one of the exquisite architectures. Almost 60,000 pilgrims visit the temple every day. The inner sanctum of the temple grants spiritual bliss. Do have the Laddo Prasadam, it tastes divine. 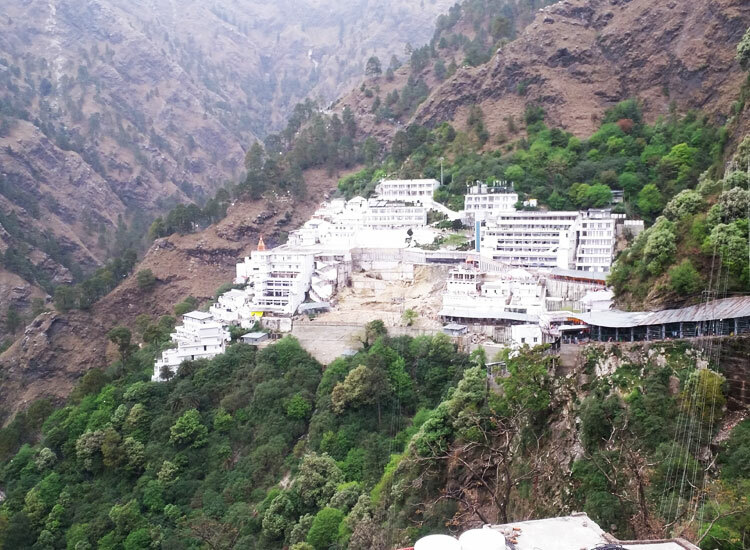 The holy shrine of Vaishno Devi is the second most visited temple in India. 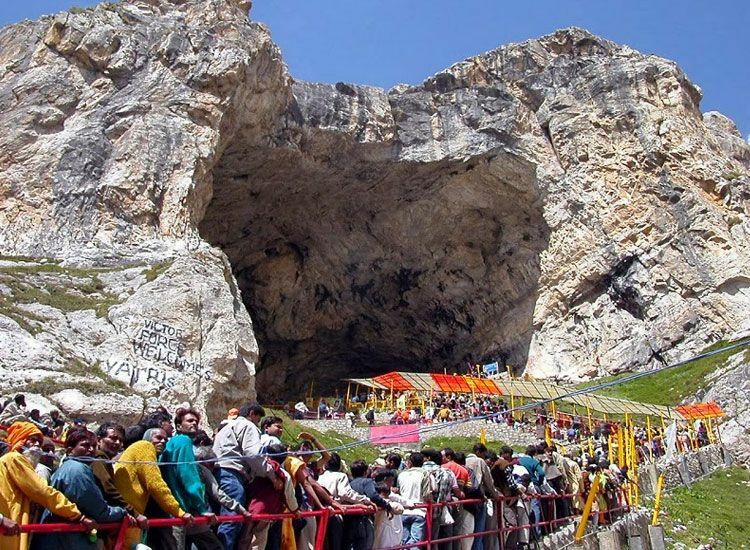 Located in the three-peaked Trikuta Mountain in Jammu and Kashmir, the cave shrine worships Maa Shakti. Inside the cave temple, Maa Vaishno Devi is present in the form of three Pindis which represent three Goddesses- Maa Saraswati, Maa Lakshmi and Maa Kali. These three pindis symbolize three forms of Mother- the preserver, the creator and the destructor. The shrine of the Mother Goddess is reached after a 13 km trek from the town of Katra. Most people walk to the temple by road, it’s a 6-8 hours walk. There are also options of helicopter ride from Katra to Sanjichhat that saves lot of time and energy. The Golden Temple, Harmandir Sahib Gurdwara is one the most popular Sikh pilgrimage sites in India. This is the place to visit in case you are wondering where to get classes for spirituality in India from great personalities and gurus. Built by the fourth Sikh Guru, Ramdass Sahib Ji, the sacred site is visited by Sikhs and people of all religions from all over the world. The Gurdwara has the Guru Granth Sahib which is the most Holy Scripture for the Sikhs. The symbol of equality and brotherhood, The Gurdwara welcomes people from different religions. The site features an air of immense spirituality and tranquility. People from all over the country and the world visit the Golden Temple for holy blessings. 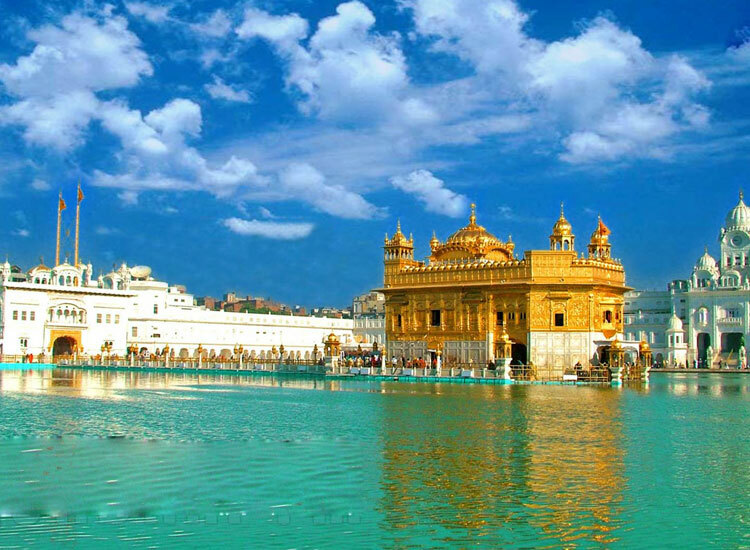 There is a beautiful Sarovar in the center of the Gurudwara, where thousands of people take a holy bath. The architectural beauty of the temple with its gold and marble structure is matchless. Thousands of people from all walks of life visit the Golden Temple every day. Worshipped and visited by people of all faiths, Shirdi Sai is the holy shrine of Sai Baba. A long time ago a bearded fakir, Sai came to Shirdi, a small and beautiful town in Maharashtra. He called the place home and spread the message of love and unity with his words, ‘Sabka Malik ek’. In all his life he kept a fire burning where he burnt all vices and evil. The ash is given to his believers as a token of all his teachings. The divine fakir took samadhi but it is said that he resides in the hearts of believers. The popular pilgrimage site in India is one of the most visited spiritual places in the country. Devotees of all religions come from far ends of the world to seek the blessings of Sai Baba. 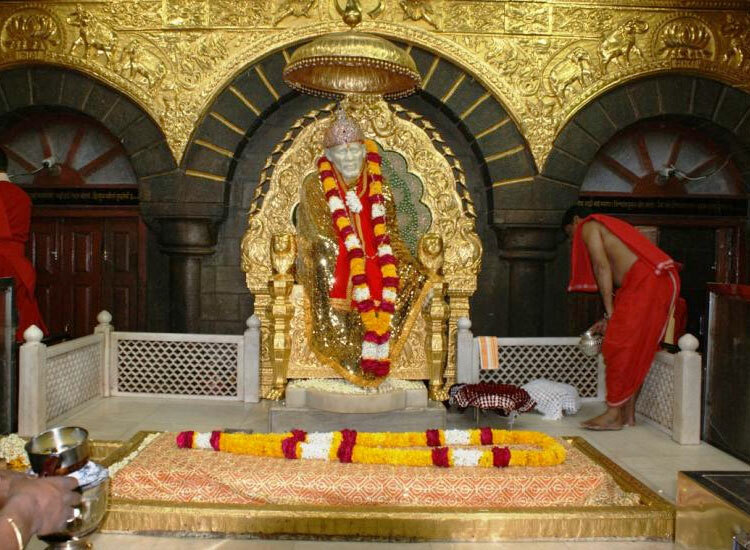 Other than the main shrine of Sai Baba, there are many more holy shrines, such as Sai Baba temple and Dwarakamayi. One of the most revered spiritual journeys in North India, Amarnath Yatra takes you to the ice lingam hidden in a cave in the snowy mountains of Jammu and Kashmir. The divine ice lingam, is formed by the icy waters dripping from the roof of the cave. After an arduous trek, pilgrims get to the shrine. According to a Hindu legend, this is the cave where Shiva explained the secret of life and eternity to his divine consort, Parvati. Every year the ice-shrine is open only for few days, generally July- August, the holy month of Shravan. After complete medical check-up pilgrims are allowed on the yatra. Many visit by road from Pahalgam or Baltal accompanied by horse and palkis but the easiest way is by helicopter. From Panjtarni to the shrine and back helicopter packages to Amarnath make it easy for pilgrims to day obeisance and save time. 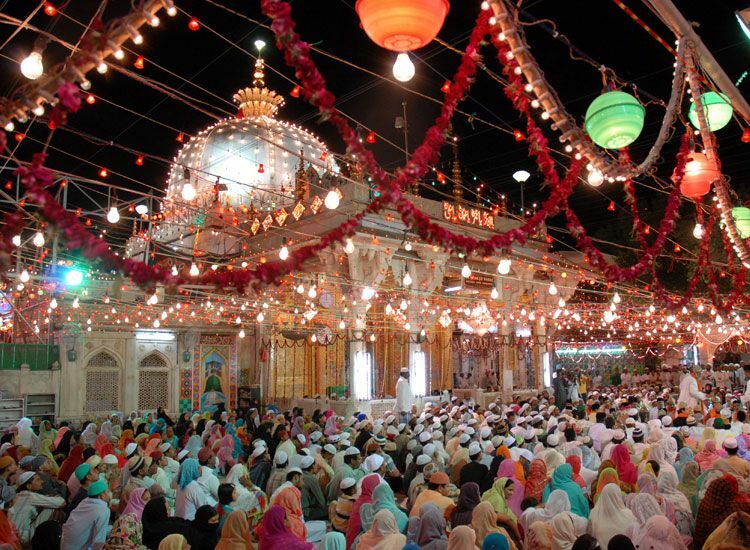 One of the holiest shrines for Muslims in India, the Ajmer Sharif Dargah is the revered Sufi shrine of Moinuddin Chisti and is visited by The Islamic Imam and philosopher came from Persia to propagate his teachings. The shrine contains the saint’s grave. The dargah receives the most visitors on 6th and 7th of the seventh Islamic month, Rajab, on the death anniversary of the saint. The complex is famous for its three elaborate gates built by three rulers. The Nizam Gate was built by Mir Osman Ali Khan, Hyderabad’s last Nizam; Shahjahani Gate by Mughal Emperor Shah Jahan; and Buland Darwaza by Sultan Mahmood Khilji. Devotees enter the shrine with offering of flowers and perfume and return with blessings of the saint. The daily Quran reading sessions and the Sama, spiritual Qawwali provides spiritual bliss for everyone who visit the Dargah.